Puzzlemad New Additions: A beautiful gift! My very good friend and fellow metagrobologist, Dave Holt, sent me this puzzle as a gift totally out of the blue. It is the Melting block packing puzzle designed by Tom O'Beirne. It is one of the few 3D packing puzzles that I have actually been able to solve and is VERY clever. I wrote about it nearly 3 years ago in this blog post. My original version was made by the Pelikan workshop in Maple and Padauk. 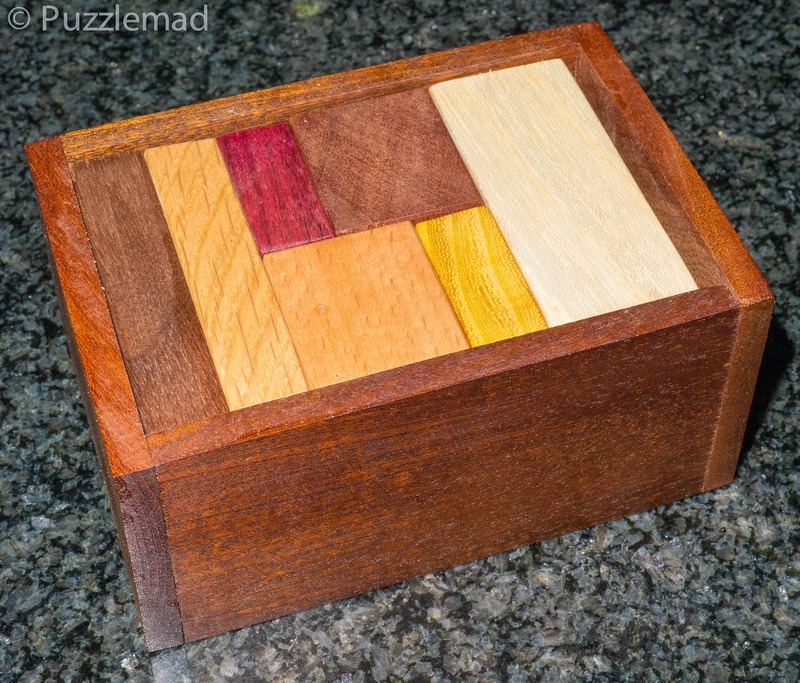 Ash, Walnut, Mahogany, Purple heart, Wenge, Pau Amarillo (Yellow heart), Beach, Elm, Cherry and a Mahogany box. Thank you so much Dave, I will treasure it!